Our Company philosophy is to vigorously protect and defend our patents and other intellectual property rights. We will use all legal remedies available. The company will actively pursue litigation against all persons or companies that infringes on our patents or violators of our Intellectual property rights. 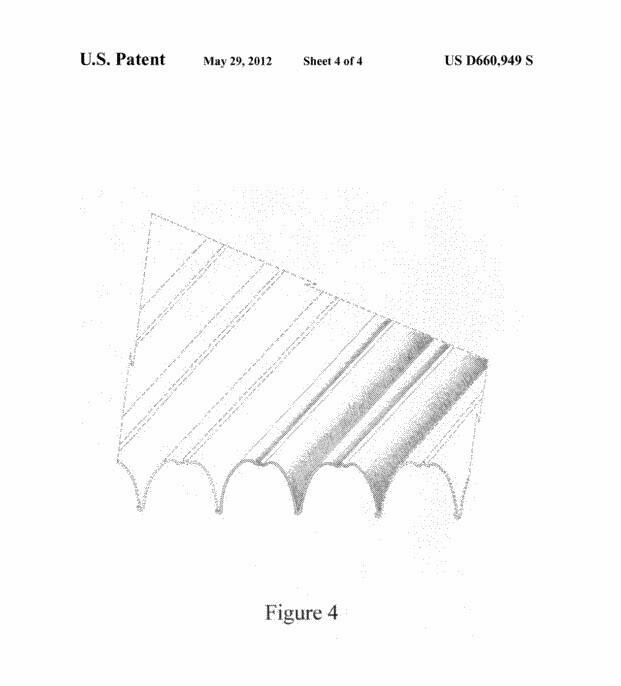 We are placing any and all individuals or companies who are manufacturing or distributing solar air heater technology that infringe upon our patent rights on notice that we are actively enforcing our rights and will aggressively seek any and all action against any entities who infringe upon these patent rights. Please be aware that if you are in the business of manufacturing or distributing solar air heaters that infringes upon our patents or intellectual property, we will commence legal action and seek damages and relief arising from your infringement on our patent rights. (a) Except as otherwise provided in this title, whoever without authority makes, uses, offers to sell, or sells any patented invention, within the United States or imports into the United States any patented invention during the term of the patent therefore, infringes the patent. (b) Whoever actively induces infringement of a patent shall be liable as an infringer. 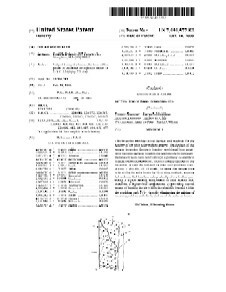 (c) Whoever offers to sell or sells within the United States or imports into the United States a component of a patented machine, manufacture, combination or composition, or a material or apparatus for use in practicing a patented process, constituting a material part of the invention, knowing the same to be especially made or especially adapted for use in an infringement of such patent, and not a staple article or commodity of commerce suitable for substantial noninfringing use, shall be liable as a contributory infringer. 1. A solar air heater providing heating of air in a step-wise manner, comprising: a housing, said housing comprising a front panel of light-transmitting material, one or more air inlets and one or more air outlets for establishing a flow path for the air to be heated, two or more partitions, said partitions being essentially parallel to each other creating essentially isolated sections within said housing between said partitions, wherein each partition has a longitudinal axis and a normal axis, said normal axis being perpendicular to a face of said partition, wherein each partition comprises a plurality of parallel channels permitting adjacent essentially isolated sections to be in fluid communication and wherein said fluid communication is through said partitions, such that said fluid communication between said adjacent essentially isolated sections and through said partitions is along a route perpendicular to the normal axis of each of said partitions and perpendicular to the longitudinal axis of each of said partitions; and b. one or more fans for moving air through said housing by way of said air inlets and said air outlets, and c. a temperature controller for turning said fans on and off at preset temperatures. 2. The solar air heater of claim 1, wherein said housing further comprises: a. a back panel, a top panel and two side panels and a bottom panel; b. wherein said light-transmitting front panel and said back panel are connected to each other by said top, bottom and side panels to create a box-like housing. 3. The solar air heater of claim 2, wherein said back, top, bottom and side panels comprise a material suitable for solar radiant energy absorbance. 4. The solar air heater of claim 2, wherein said partitions contact said front and back panels at a non-perpendicular angle and contact side panels perpendicularly. 5. The solar air heater of claim 4, wherein said partitions comprise material suitable for solar radiant energy absorbance. 6. The solar air heater of claim 5, wherein said material suitable for solar radiant energy absorbance is selected from a group consisting of one or more of metal, surfacing said partitions with metal or a metal-based paint, coloring the surfaces of said partitions a dark color (e.g., black). 7. The solar air heater of claim 6, wherein said enclosure is sized to fit into a window frame of a building. 8. The solar air heater of claim 7, wherein said back panel is made of a light-transmitting material. 9. The solar air heater of claim 1, wherein said temperature controller comprises one or more temperature sensors and a recording means. 10. The solar heater of claim 9, wherein said temperature controller comprises a computer. 11. The solar heater of claim 1, wherein said one or more air inlets are orientated to draw air from the interior of a building into said solar heater housing for heating by said solar heater and said one or more air outlets are orientated to expel heated air out of said solar heater housing into the interior of said building and wherein said one or more air inlets and said one or more air outlets are located in two different said essentially isolated sections at opposing ends of said housing. 12. The solar heater of claim 2, wherein components of said solar heater are selected from one or more of a group consisting of plastic, metal, glass, wood, fiberglass, pressboard and fiberboard. 13. A method of heating air with a solar air heater, said method comprising: providing: a housing, said housing comprising at least one light-transmitting panel to permit the capture of solar radiant energy, one or more air inlets and one or more air outlets to create a flow path for the air to be heated, one two or more partitions, said partitions being parallel to each other and creating essentially isolated sections within said housing between said partitions, wherein each partition has a longitudinal axis and a normal axis, said normal axis being perpendicular to a face of said partition, wherein each partition comprises a plurality of parallel channels permitting adjacent essentially isolated sections to be in fluid communication and wherein said fluid communication is through said partitions, such that said fluid communication between said adjacent essentially isolated sections and through said partitions is along a route perpendicular to the normal axis of each of said partitions and perpendicular to the longitudinal axis of each of said partitions; and wherein one edge of said partition meets said light-transmitting panel at a non-perpendicular angle; one or more fans for moving air through said housing by way of said air inlets and said air outlets, and a temperature controller for turning said fans on and off at preset temperatures; b. drawing air with said one or more fans from the interior of a building into said housing via said one or more air inlets in said housing, heating the air with solar radiant energy by drawing said air sequentially through the essentially isolated sections of said housing and through the plurality of channels in said partitions into the next section and expelling the air from the housing into the interior of said building via said one or more air outlets and by having said fans turn on when a first preset temperature inside the housing is detected by said temperature controller and turned off when a second preset temperature inside the housing is detected by said temperature controller. 15. The method of claim 14, wherein said temperature controller means comprises a computer.